• Thirteen populations of salmon and steelhead are officially in danger of extinction. The four remaining Snake River stocks are either threatened or endangered. 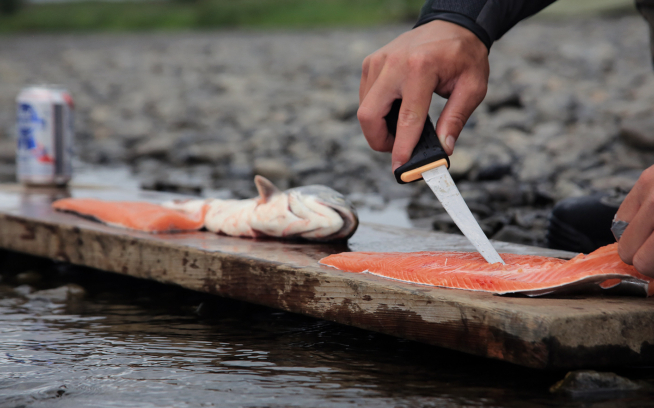 • The Columbia Basin was once home to the largest salmon fishery in the world — supporting tens of thousands of jobs, providing a nutritious food, and generating billions of dollars in economic activity each year. • Up to 30 million wild salmon and steelhead once returned to the Columbia and Snake Rivers. Today, it is less than one percent of the number. 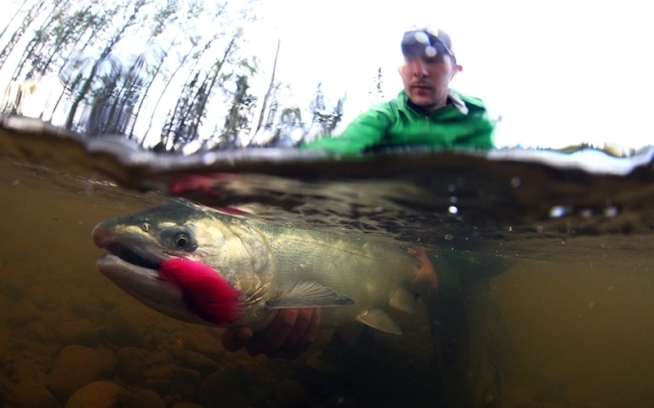 • Snake River sockeye salmon migrate higher than any salmon in the world: Adults swim 900 miles and climb 6,500 feet in elevation — from the Pacific Ocean to Redfish Lake in the Rocky Mountains of Idaho. • With more than 200 dams, the Columbia Basin today is among the world’s most dammed landscapes. Removing four costly dams will restore salmon, create jobs, save money, and establish a clean energy blueprint for the future. "I think we're taking this whole salmon metaphor way too far…." That's all I could think at the time. We had been wandering off course for hours, trying to get up to the Bighorn Crags. As it turns out the 78 miles we ran along the river was the easy part. We had left Boundry Creek at first light, hoping to make good time while the weather was cool. The trail was very runnable and we were in high spirits. Memorable? Yes. Would I do it again? I'm always up for good type 3 fun but it can get a bit unruly at times. Special thanks to my family for the pass for the weekend. Luke for inviting me along. Patagonia, Ultraspire, and La Sportiva for their support. Jared Campbell for the SPOT support, Handsome Matt of Camp 4, Save Our Wild Salmon, and all the others that took interest and helped us along in our journey. Get online and make a pledge, get informed, a bunch of small steps will help us preserve the wild places we play in and help the Salmon get home.